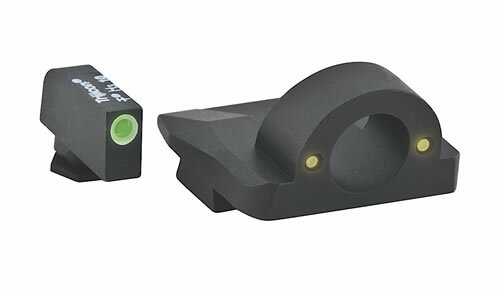 AmeriGlo Ghost Ring Night Sights are ideal for "old eyes", shooters with bifocals, SWAT, or just when you need that quick front sight acquisition on your Glock Pistol. AmeriGlo sights are machined from us-made bar stock steels and assembled using Swiss-made tritium light sources. AmeriGlo sights are used worldwide by law enforcement, military, defense-minded free citizens, and recreational shooters.